Angry Birds Seasons Day 5 – Post Your High Scores! 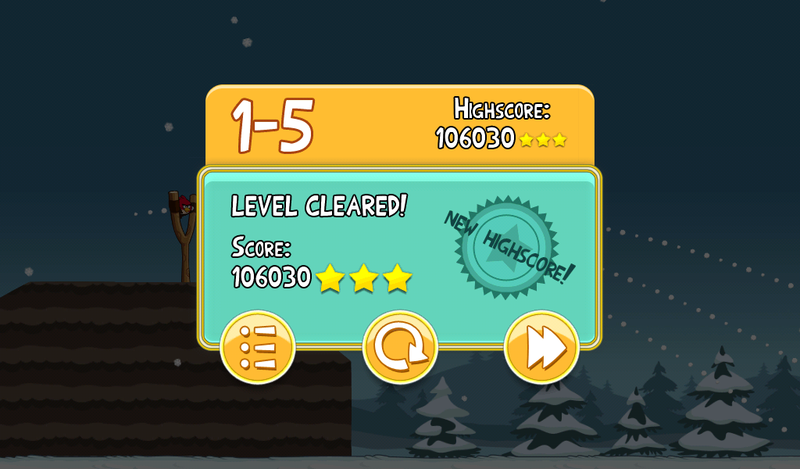 Day 5 of Angry Birds Seasons is live and ready for you to dominate it! Somehow I’ve managed to get 3 stars on them all, but am in no way keeping up with you AB pros. So post up those scores! Remember, if you post up something big, people are going to want proof with a screenshot!